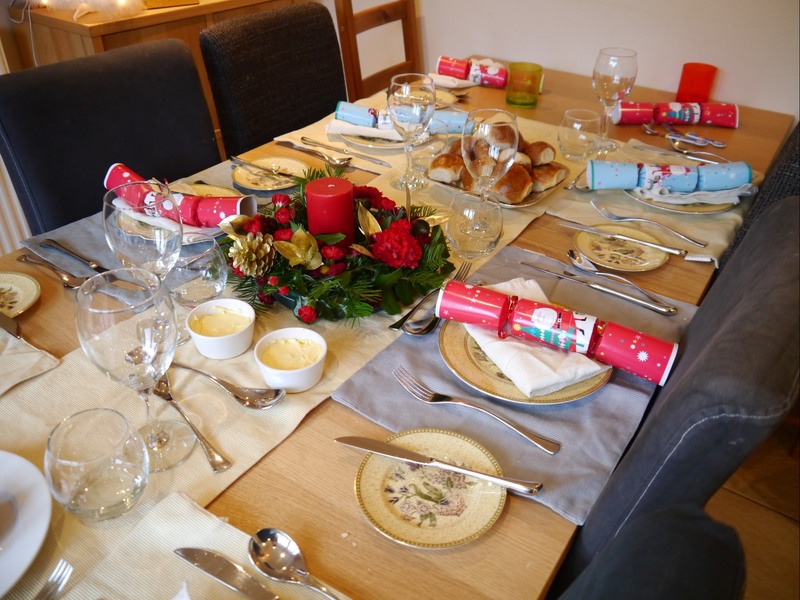 Back before Christmas I wrote about our perfect Christmas Day for the Tots 100 12 days of Christmas competition. I was hoping to win the PS4 for my husband and be the best wife ever but needless to say I didn’t :). 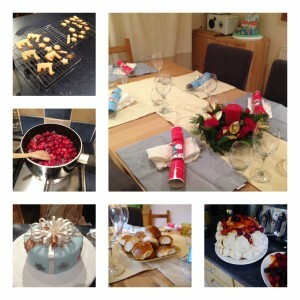 Still, Christmas day was pretty fabulous anyway and went very much along the lines I hoped. I love decorating the table and this year had a go at making the table centre myself. I bought a cheap orange and cinamon scented pillar candle, a bunch of red flowers and a ring of oasis then added some holly from our garden, (getting prickled repeatedly in the process). I wanted to do a cake this year which looked like a pile of presents. Rather than be colour co-ordinated I chose to make each tier a completely different style. The bottom with Rudolph flying through the sky, the middle a square box shape with a holly pattern (pretty much held together with frosting due to a tragedy when I was taking the cake out of the tin to cool) and the top tier ice blue with silver and gold snowflakes, flower paste bows and edible diamonds. I was especially proud of the top tier as this is the first time I’ve successfully got the snowflakes out of the cutters. Until now I’ve always had to resort to the simpler snowflake cutter that I used to make Christmas cupcakes for the school fair. 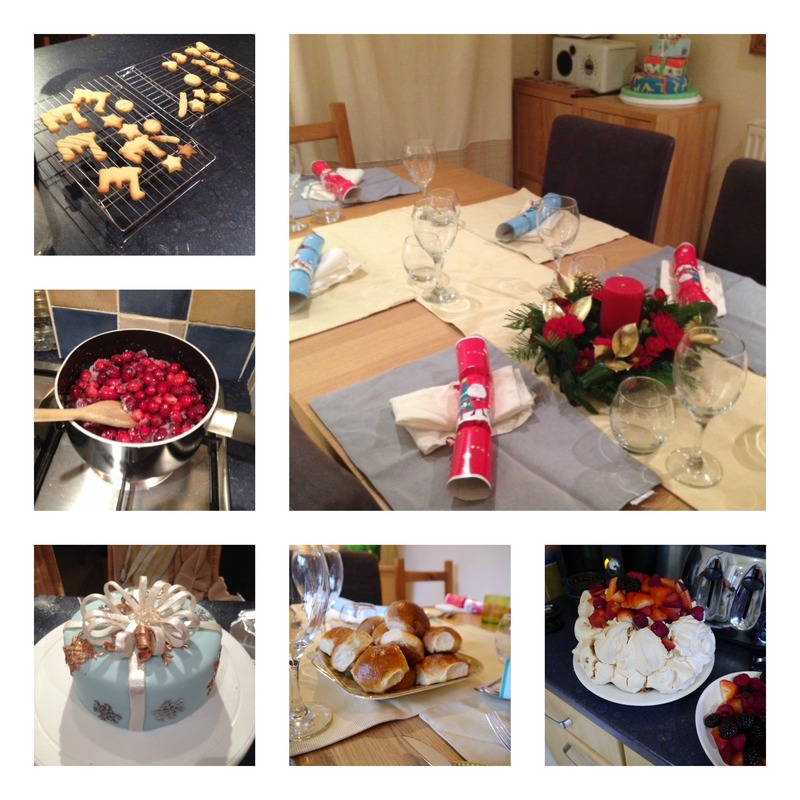 We had far too much food including homemade bread, cranberry sauce, stuffing and pavlova (my absolute favourite). Sadly pavlova is popular and I only got a tiny bit but I really shouldn’t complain, especially since I used the left over egg yolks to make crème brûlée a few days later. I hope everyone had a wonderful Christmas and new year, I really must try to make some healthier things this January. Below are some of the things we made including biscuits for Santa. This entry was posted in Christmas is coming, Large cakes. Your tower of cake presents is wonderful! 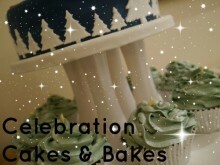 And so much detail in the icing, what a great idea! 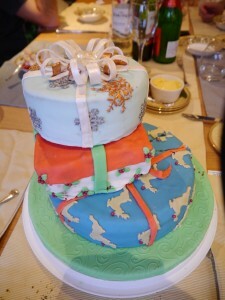 The cake looks fab, especially the top tier – so pretty, I love the bow on top to finish it. Egg first then Chicken - Easter Nest Cake. Alice in Wonderland Cakes: Who are you?? Carrot cake for everyone but me!